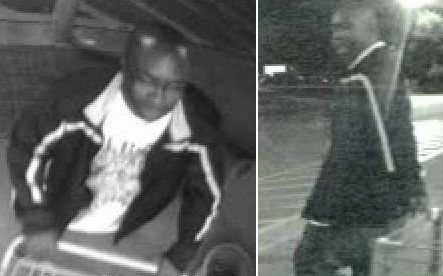 Man wanted for stealing laptops from Goose Creek Walmart | Crime Stoppers of the Lowcountry: 554-1111 | 1-888-CRIME-SC | Anonymous tips earn cash rewards with Crime Stoppers of the Lowcountry. GOOSE CREEK, SC (WCSC) - The Goose Creek Police Department is asking for the public's help identifying a man wanted for stealing over $2,000 worth of laptop computers from the Walmart in Goose Creek. Police say the man captured on surveillance forced his way into a secured cabinet containing electronics on Wednesday at 1:15 a.m. on St. James Avenue. Police say the suspect was seen leaving the area in a white SUV, which appeared to be a GMC or a Chevrolet. Officers said the computers stolen were valued at approximately $2,300. If you know the identity of this individual you are encouraged to the contact the Goose Creek Police Department at (843) 863-5200 or their Crime Tip Line at (843) 863-5210.